This article presents a new model of the role and relevance of marketing in small- and medium-sized enterprises (SMEs). This will present you with ways to tackle the key marketing challenges, revealed in recent statistics and my own experience, offering some very practical guidance to help you improve your sales. It is inevitable that all small business corporations will be challenged by six significant marketing issues (as narrated below). SMEs will be challenged with a limited war chest of marketing budgets or even a marketing staff in our hand to face these issues. As you might expect, you will be faced with having to juggle marketing and numerous ranging aspects of operating a business. Therefore, if you notice that sales are failing to meet the standards you wish, then you will know that it is because not enough time is being spent on the marketing area, which could lead to an economic decline of your organization. It is important to consider the excessive influence that marketing has on developing your business. Identifying your end-objective is crucial in marketing; and one must consider that the finalized output should result in productive sales revenue. If enough time is not dedicated to the marketing of your company, then your business sale will plummet almost certainly, forcing to bring your business to a fateful end. You must remember that marketing does not have to be complicated or time consuming, and to make sure that it does not become a strenuous addition to managing your business, it is advised that one should develop a marketing procedure that can managed and fine-tuned with a planned effort of a couple of hours per week. Now let’s get started and tackle those six most important marketing challenges. Who are you targeting and where can we find them? Basic stuff, but the very foundation of your marketing starts here. If you want to be successful with your marketing you must have a clear idea of your target audience. Who wants and needs what you have to offer? The only wrong answer is "everyone." If you’re a private school owner, you may see infants and children. Are they your target audience? No! They are your students, but it’s the parents you need to connect with to get the kids in your door. And it’s not just any parents – it’s a definite group of parents. You should construct a profile of your ideal customer, work with your team to refine it and identify the buying criteria used by your model client. Once you have conceptualized this profile, it will help you prepare and personalize your marketing message to make it relevant and important to the intended recipient. The next time you are creating promotional messages use the profile to guide you in your efforts and it will most definitely help you to communicate more effectively with your target market. The ability to deliver to the satisfaction of your customer is the threshold to upholding a business. The key note is to always make sure you deliver. That said – you need to give your client a reason to leave wanting more. Consider including a thank you coupon with every purchase that provides an incentive or discount which they can receive on a future appointment. You must continually develop on your organization’s relationship with customers. In order to do this you should keep in touch with them and show appreciation towards them – after all each and every contact is a massive contribution to your company. The most cost effective manner to exercise a ‘repeat business’ is by incorporating a database of permission based e-mails in your client network system and using this to contact your customers. Another efficient means of keeping your contacts in touch and up-to-date is through e-newsletter marketing. In this e-age, Internet is the main source of world connection and an obsolete business failing to make use of a sufficient email marketing system will suffer greatly in today’s business world. Clients often create a personal connection with the local organisations they receive help from and generally people want to support them, so why not ask them for their help in getting referrals? Small business owners and managers agree that recommendations are highly significant to their business growth; unfortunately many are hesitant to openly ask for referrals. If you want to be a successful business then you should not dismiss the chance of creating a system that gains helpful referrals from your customers. It is best that your networks of contacts have knowledge of the importance their recommendations bring to the company. Organising a constructive system of referrals will help you to notice the impact they have on your marketing activities and keep an undated track of referrals. It is also important that you can track each referral back to its related customer so that you can show gratitude to each individual for their particular recommendation – this will remind the client that their addition to the company is greatly appreciated by the organization. Sometimes we become concerned that the outcome of marketing is that of minimal results. Do not discount marketing because of previous experiences, instead try to follow these steps to ensure that a consistent and productive managing base is made. Firstly, make sure your offers are relevant for your target audience which requires beneficial impact from the recipient. However, before you commit to it, test it out so that you can ensure it is sufficient. In all probability your results will not be outstanding and so this process affords you the chance to make improvements. Then test it again before finally running the entire campaign. Small business’ can not afford to spend on purely image or brand building advertisement. However, there are many ways of building and promoting your company image while generating increased sales conversions. This will valuably provide you with an incentive to take action within a specified time frame. Make sure every promotional campaign is primarily focused on generating a response that converts into sales while at the same time building your brand. It must be reinforced that you can not afford to neglect the marketing are of your business if you want your corporation to prosper. Time and resources will inexorably be sacrificed in order for your business to have the capacity to grow and this must be accepted. Take the time to explore what you can achieve with the exceptional marketing methods that are now available to small businesses and with minimal costs to implement. There is a program suited to every category of business with timesaving assets so you will no longer need to worry about focusing your attention purely on marketing. In order to build the right small business infrastructure, you must think strategically – that’s having a business mindset. Marketing is everything you do to make your product or service more visible, more desirable and more profitable. Your marketing plan will clearly define the big picture and provide focus and direction based on the 4 ‘P’s of Marketing – product, price, place and promotion. Your business mindset cannot be satiated unless you have a marketing plan which can support your business objectives. 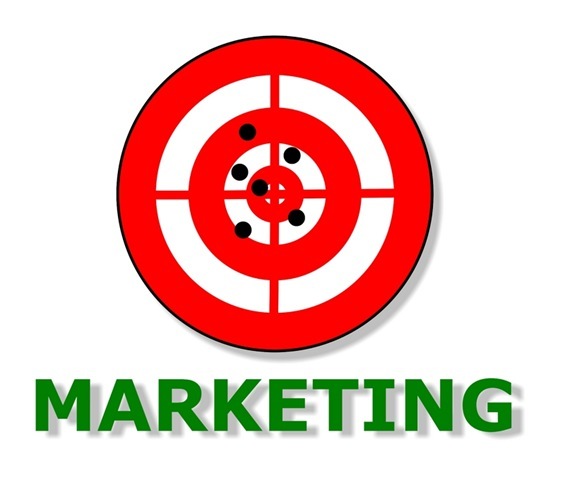 There are numerous sites on the Internet that can provide marketing plan templates. 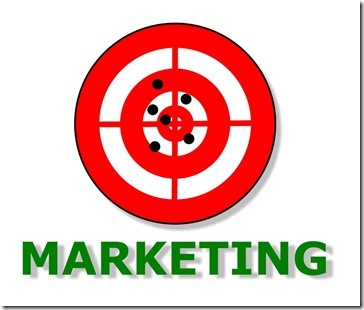 Download some examples to aid you in constructing your own marketing plan. Do not download excessive amounts of information, three pages should provide you with the sufficient information needed. Take the time to prepare and develop your marketing approach and strategies including how you will track and test it. If necessary get a marketing specialist to assist you with developing the plan. "Role and Relevance of Marketing in Small Business and Enterprise Development! ", 5 out of 5 based on 1 ratings. its time 2 knw more about marketing. thank you for all likes!